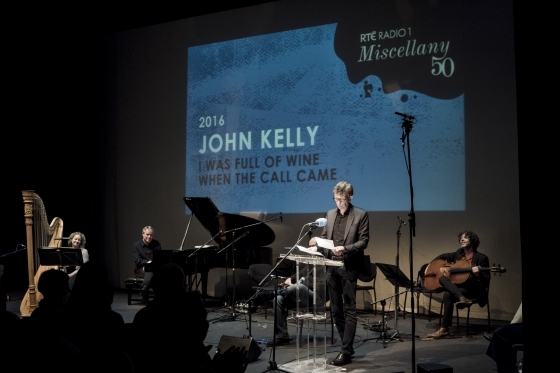 John was honoured to be part of an extraordinary weekend of poetry and music to celebrate 50 years of Sunday Miscellany. He read a brand new poem and then Lisa O'Neill performed a brand new song in response to it. Both will be broadcast on RTE in the near future. President Michael D. Higgins and Sabina were among those in attendance. John with poet Theo Dorgan who launched NOTIONS and the poet and publisher Pat Boran. Signing a copy for the great playwright Marina Carr. Ciaran Carson’s selected poems and translations, From There To Here (The Gallery Press) compresses a brilliant career into 200 pages. His exhilarating long-lined narrative poems, classics like The Irish for No, Belfast Confetti and Calvin Klein’s Obsession, are followed by tight, firecracker sonnets and an extract from the virtuoso long-lined sonnet sequence For All We Know. Such a range would be enough for any poet, but the last quarter of the book foregrounds poems of unsettling bareness, stripped of the idiomatic rhythms of which he was such a master. These haunted, haunting fragments glitter as much as anything else this shapeshifting genius has written. It was a good year for individual collections too: there was outstanding work in TS Eliot-shortlisted books by Ailbhe Darcy (Insistence, Bloodaxe) and Nick Laird (Feel Free, Faber). American poet Danez Smith won the Forward Prize for their book Don’t Call Us Dead (Chatto, £9.90), whose neat sonnets and passionate exclamations made for forceful, likeable work. I loved Michelle O’Sullivan’s sustained, atmospheric This One High Field (The Gallery Press) and Leanne O’Sullivan’s beautifully imagined and well-made account of her husband’s recovery from illness, A Quarter of an Hour (Bloodaxe). Salmon published Rita Ann-Higgins’s weather-making Our Killer City – Galway is the gift that keeps on giving; John Kelly’s Notions (Dedalus) was probably the best debut of the year, as well as the one longest in the works, noting in the acknowledgements that some of its poems first appeared in 1988. Derek Mahon returned with Against the Clock (The Gallery Press), poems which charm with tough visions, freewheeling free thinking and down-to-earth wisdom about the ecological deep time which will see out poetry, the anthropocene, the wood pigeon, Cork’s immigration centre and Aeneas’s steersman Palinurus, other subjects of this big, bare-headedly buoyant book. Honourable mention too to Michael Hofmann, that connoisseur of decay and aftermath, whose ingeniously entertaining One Lark, One Horse (Faber) ended a 20-year silence; and Alice Oswald, one of the UK’s most interesting poets, who published a small press response to the Odyssey, Nobody (21 Editions), whose seascapes and commitment to ephemeral beauty are as admirable and moving as Mahon’s. NOTIONS makes the end of year list at The Irish Times. The choice of both Joseph O'Connor and Helen Cullen. "Kelly’s poems are marked by both gravity and wit – as well as by a copious resourcefulness." 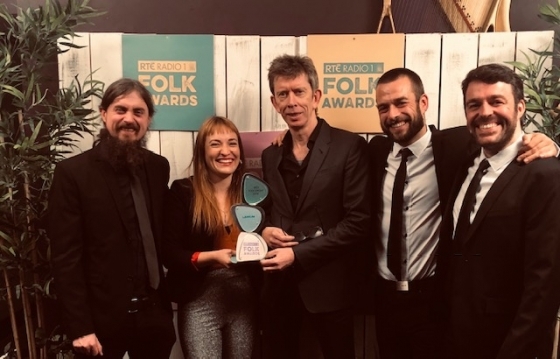 John Kelly has presented some of the most acclaimed music and arts programmes on the Irish airwaves over the last two decades. Today, he is perhaps best known for fronting The Works Presents, a weekly RTÉ One arts magazine programme, and for presenting Mystery Train on RTÉ Lyric FM, a reincarnation of the groundbreaking music programme of the same name that ran from 2000 to 2006. As an author, Kelly has published three novels, his most recent being 2014’s From Out of the City, which was shortlisted for Novel of the Year at the Bord Gáis Book Awards. Notions is his first poetry collection. Kelly recently gave reason as to why he felt compelled to write this collection, stating that ‘certain life experiences, good and bad, were beginning to insist on clarification, expression and preservation’. 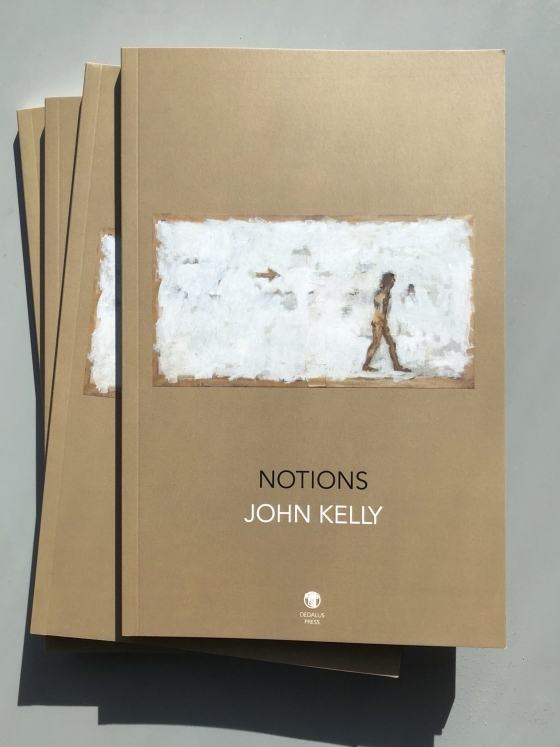 In keeping with this, Notions is a collection of poems that immediately strike the reader as having existed in the most intimate spaces of the writer’s mind long before they were committed to the page. These are snapshots of memories and stories that have matured and been coloured by time, and Kelly forms connections between different moments in his life in the most unusual of ways. 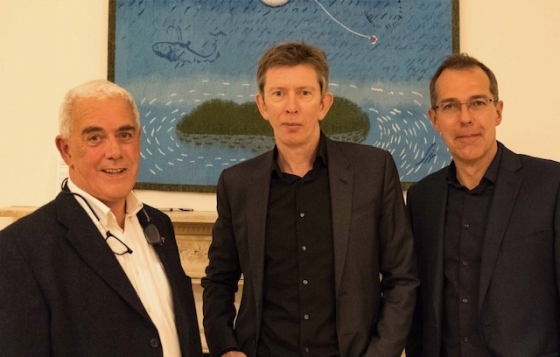 As one might expect, the book is brimming with references to culture and music – a snippet of conversation with Frank Sinatra in a New York bar, a brief history of the song ‘Love me Tender’, and thoughtful, affectionate encounters with paintings and their creators. Elsewhere, it is in poems involving Kelly’s children and loved ones where affection shines through. ‘The Small Things’ is the first poem in the collection and the narrative presented here sets the tone for the rest of the book. Kelly describes the somewhat ordinary activity of working out an injury in the gym, when he senses ‘the cranky silver arm of a slot machine’. Suddenly, by way of this striking association, we are transported back to the Bundoran of his youth where he is in an amusement arcade with his mother who has ‘holiday drizzle… still on her cheek’. The poems that follow are filled with simple yet powerful moments such as this one, where human connections and their importance are highlighted amidst the clamour of everyday life. The overwhelming possibilities that this life can offer are explored in poems such as ‘The Gaeltacht’, where Kelly writes of the awe felt by Nadia, ‘a wondrous blonde from Iúr Cinn Tra’, when she reaches the top of Errigal mountain. Amongst such moments, there are surprising, humorous ones, and it is the memory of Nadia’s ‘Lemon Fanta tongue’ that stayed with me when the poem had ended. Kelly’s words find beauty in the small things just as they do in the profound. This beauty remains apparent in the more melancholic moments of the book. ‘Winter’s Blessing’ expertly intersperses descriptions of nature with subtle evocations of grief and Kelly creates a still, warm atmosphere to allow the music of birds to sound from the page. Here, the soloing thrush is ‘lit like an old friend’s soul in the bones of a silver birch’. This is yet another example of the strange workings of the mind and memory and the links that they make. Along with the rest of the poems in the collection, it is fundamentally about living, and acts as an affirmation that light can find its way to us in many unexpected ways. 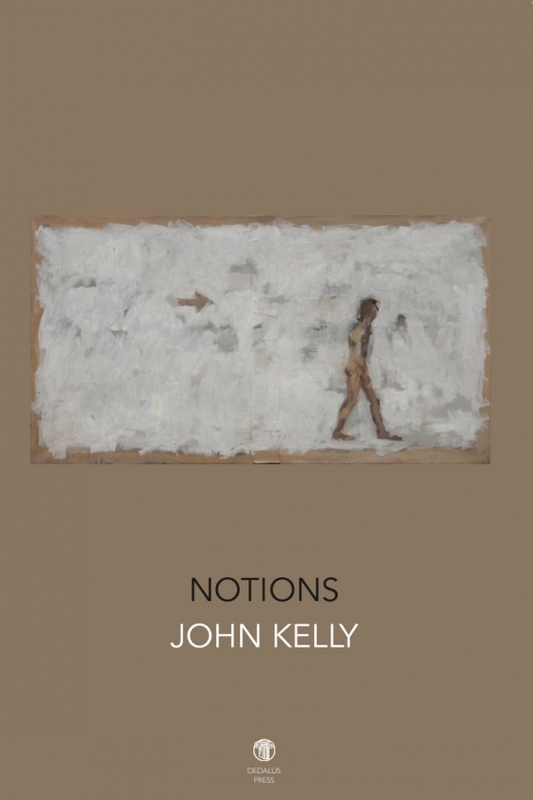 Notions is available from Dedalus Press at www.dedaluspress.com. "poems of great tenderness and linguistic skill." 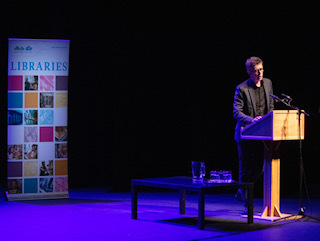 John hosts and reads at Seamus Heaney 100 Poems event. Before his death, Seamus had intended to assemble a personal selection of poems from across the entire arc of his writing life, small yet comprehensive enough to serve as an introduction for all comers. 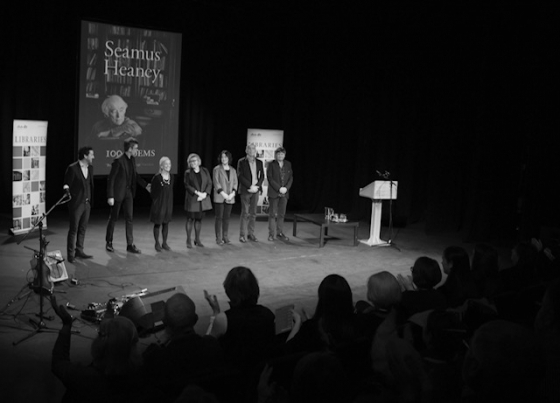 He never managed to do this himself but now the 100 Poems project has been completed, resulting in an intimate gathering of poems chosen and introduced by the Heaney family. 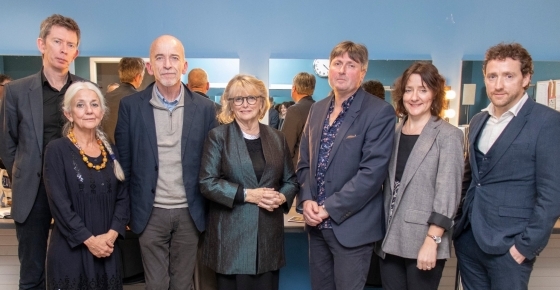 To celebrate the publication of 100 Poems, Simon Armitage, Paula Meehan, Colette Bryce, Marie Heaney, Mark Doty and John Kelly read selected Heaney poems. 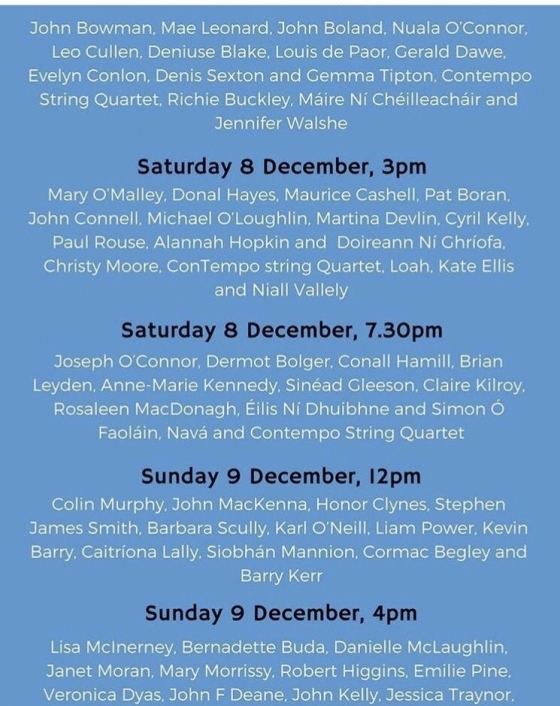 Plus music from Colm Mac Con Iomaire.